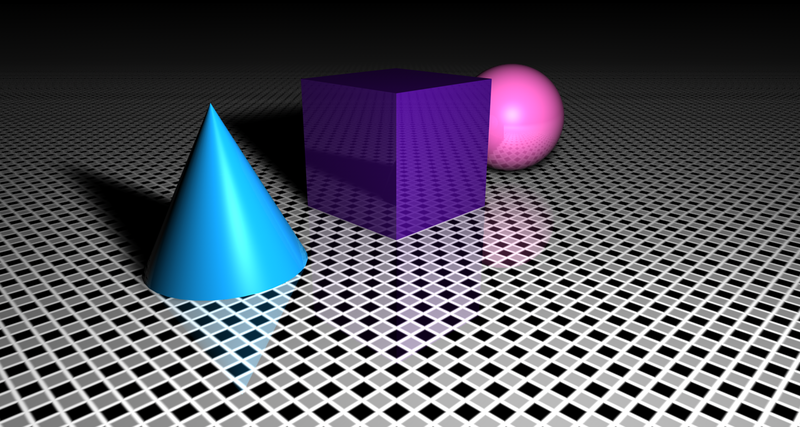 I made these images on Cinema 4D Software. 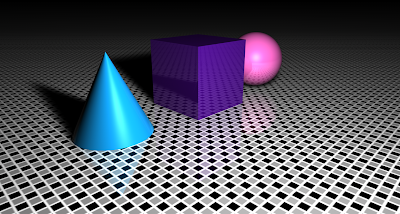 I added a cube, cone and sphere from the Primitive Shapes Menu. Repositioned them with the Move Tool. On Materials Manager, I created 3 New Materials and made sure each material had a 20% Brightness on the Reflection Menu. I then dragged them to the objects. For the floor, I choose a Tile Surface Texture instead of a block colour. I edited the tiles colour and dragged it to the Floor. 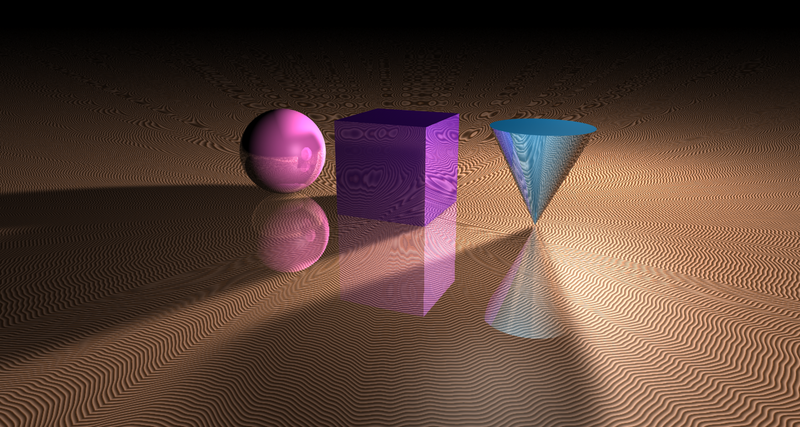 To finish I added an Omni Light Object, repositioned it, changed its brightness to 150% and added a Soft Shadow. 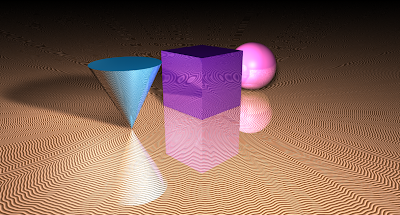 I changed the brightness of each object to 50% instead of 20%. I also changed the texture of the floor surface to Wood, to which I also gave a brightness of 50% so it reflects more into the objects. Lastly, I added a second light (but with a 100% brightness) at the back of the objects so the shadow wouldn't be as dark, which is clearly seen when comparing Image 1 and Image 2. Image 2 - Different View Point and Zoom. From this view point you can see how far the shadows stretch.